Things are getting crazy on the internets this week, with a new rumor about a smaller, 7.85-inch iPad supposedly coming in Q3 2012. If Apple enters the compact tablet market, it would definitely set the Kindle Fire, not to mention other competitively sized Android devices, on edge. And it would deliver what some users might hunger for, like being able to hold the gadget in one hand while, say, hanging onto a subway bar with the other. Then there’s the price: The iPad is already popular as it is, but introducing a lower-priced Apple tablet would surely reach many more consumers. 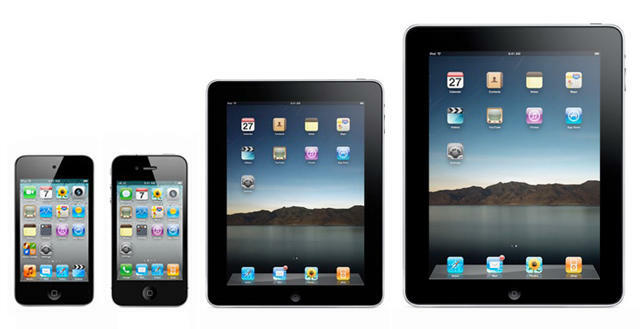 So there are some compelling reasons for Cupertino to unveil an iPad Mini. And yet, I still hope they don’t. Let’s take stock for a moment: Developers first designed their wares around a 3.5-inch iPhone/iPod Touch. Then a Retina Display. Then a new 9.7-inch iPad screen. Then a 9.7-inch Retina Display. Now we’re talking about yet another screen size. This surely has to hit iOS developers where it hurts. With an App Store bursting at the seams, countless apps would have to be tweaked to accommodate yet another new display. Many, many devs have already ridden this carousel with the iPad. Some will do it again if an iPad Mini comes out. But they can’t keep doing this ad nauseam. Many of the bigger dev houses would be able to handle it, but it could slam the smaller guys — you know, those crazy, cool indie types who may not have the resources to constantly revisit their existing apps. And that’s the rub: Even if Apple has no problem throwing the dev community a curve ball like this, it is unlikely that they will do it twice in the same year. In other words, I think an iPad Mini would kill any chances for a bigger iPhone 5. This would be a problem. How long can Apple ignore the drumbeat of a 4-inch iPhone? There are a lot, a lot, of hopefuls out there, and strictly from a business perspective, these masses probably dwarf the compact tablet market (at least for now). I don’t have any hard numbers, so it’s merely a hunch. All I can say is, I’m asked way more often about a bigger iPhone than a smaller iPad. From a lifestyle perspective, things could get frustrating really quickly. As an iOS user, you want the same apps to be available on (and optimized for) all your i-devices. Two new screen sizes in the same year could gum up the works and yield an irritating end user experience. Ultimately, it boils down to this: Apple has done well by focusing its efforts around a few key technologies — not raining gadgets down on the market. I know that its execs have stated that they’re doing some things differently in this post-Jobs era, but I doubt that launching two new gadgets with different displays is among them. After all, they’ve seen fragmentation plaguing the Android community. So I’d wager that it’s either one or the other — an iPad Mini or a 4-inch iPhone 5. But not both. And if the Apple honchos are smart, they’ll go for the latter. Do you agree? Disagree? Chime in below. While you’re there, tell us which one you’d choose in this Highlander scenario. 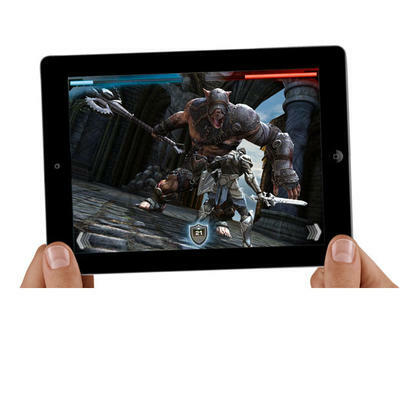 If “there can be only one,” do you hope for a 7.85-inch iPad Mini or a 4-inch iPhone?